It's been two years since the release of your EP Don't Kill My Love and I know you have been very busy since then. Please tell me what you've been doing and working on since then? Since the release of my last EP I've been focusing on touring, promoting and networking in Asia, The Pacific, and the Polynesian Islands. There is a huge appreciation for Reggae music there and it feels good spreading positive vibes with people who genuinely love it. So you traveled a lot, performed a lot outside of Jamaica. Where were you exactly? What led you there and how was the experience? I've completed two world tours which were both equally wonderful experiences and have made a positive impact on my life and my music. Music is my passion and I've taken a few leaps of faith so to speak with the outlook that everything will work out and be great and that is exactly what I did to make these world tours come true. For example I was invited to perform at a wedding in Bali with a return ticket back to Jamaica, but I decided I'm going to skip the return ticket and spend more time on that side of the world and it has turned out to be one of the best decisions I've made in my life. I've performed in Europe in countries such as Switzerland, Belgium, Poland, UK, Netherlands and of course Germany. In Asia I performed in Singapore, Indonesia, and The Philippines. As for the Pacific and Polynesian Islands I've performed in Guam, Papua New Guinea, Solomon Islands, Tahiti, Vanuatuand the Cook Islands just to name a few. Now, on the cover of your brand new EP Timeless Love we see you in the Jamaican Blue Mountains, so quite obviously you're back home and you have new music for us. How would you describe the new project Timeless Love with three words? Positive vibes, fresh and catchy. For Timeless Love you worked with Jamaican producer Troublemekka. Please tell me a bit about him. How did you guys meet and what do you appreciate about his works, so you would have him produce your EP? Troublemekka (real name Dominic McDonald) is a very talented producer based here in Kingston, Jamaica. He had approached me two years ago with an interest in wanting to make music with me. We have since then recorded several covers which have gained quite a bit of attention on social media, locally and overseas, and of course we've just recently completed this new EP. We vibe well together in studio and I just know that once I lay down my vocals the final product is going to sound great. How much did your traveling the past months and years influence your view on the world and especially the lyrics on Timeless Love? Traveling has been the best thing that has ever happened to me. It has genuinely opened my eyes to the world. A truly humbling experience. From the many experiences, good and bad, learning about cultures, food, meeting new people, making friends for a lifetime. I could not have asked for a better overall experience. However, Timeless Love focuses more on relationships and love - something we can all relate to. Some say 'Home is where you're heart is' or consider themselves as world citizens. What do you consider 'home'? 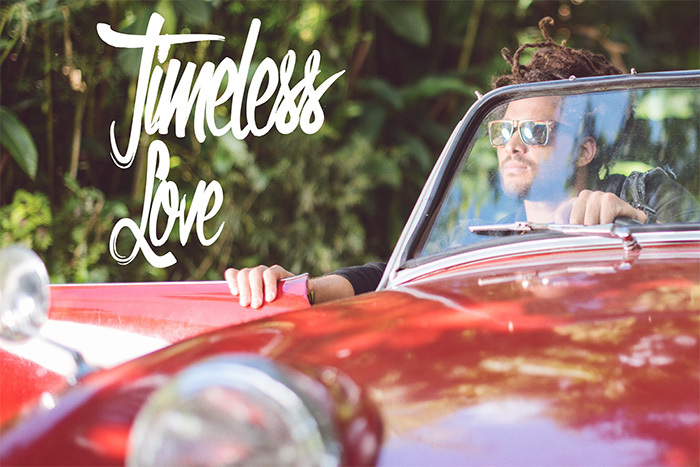 Is it mere coincidence that the cover of Timeless Love shows you in the Jamaican Blue Mountains and that you worked with a Jamaican producer for it? How does it feel when you return to Kingston from your travels? My heart will always be in Jamaica and after touring for months and not being home it is tough. So when I return to Jamaica I spend most of my time with family and friends and I just try to reconnect with nature, so I will go the beach, up to the Blue Mountains, and travel around the island loving every moment. I've enjoyed working with many producers around the world. 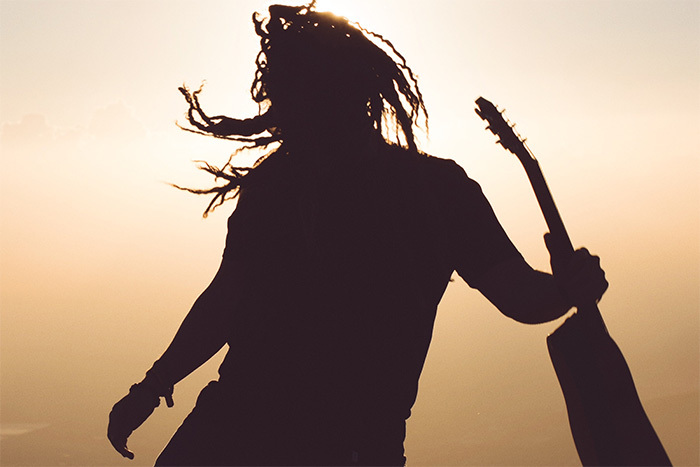 I love to see the many approaches and hear their sounds of Reggae – the instrumentation, drumming for example, how they pick up the beat … it’s music to my ears and it is truly great and inspiring. There are so many talented producers and musicians out there. Don't Go features no other than the King of the Dancehall Beenie Man. Why did you want him in particular to join the song? Beenie Man has always been one of my favorite artistes from when I was back at university in Canada and in the U.S. Blasting Sim Simma in my dorm room was a regular thing! In fact, I used to joke with my friends that I would collaborate with big Reggae artistes in the future, Beenie Man being one of them, so seeing it now become a reality is a blessing! Timeless Love is as the title indicates and as you mentioned earlier a lot about love. How personal are your lyrics and if they are, how far do you open up as an artist to the public and your fans about your real, personal feelings and emotions? This EP was a joint effort in every aspect from myself, Troublemekka, and Sniggy (songwriter and artiste) so I think we tackled many different aspects of love, heart beart and relationships in general. These songs were all based on ‘affairs of the heart’ that we all go through at some point in our lives. I want people to be able to relate to my songs and I am confident that we have achieved it in this project. The EP drops April 14. What plans do you have following the release? Will you tour once again? Do you have videos coming up? Yeah man, whole heap a tings a gwan... tours, videos, the works. On the release date of the EP I will be dropping the first music video for the single Rotation. I'm very excited to share this project with the world and I truly hope that everyone enjoys it.